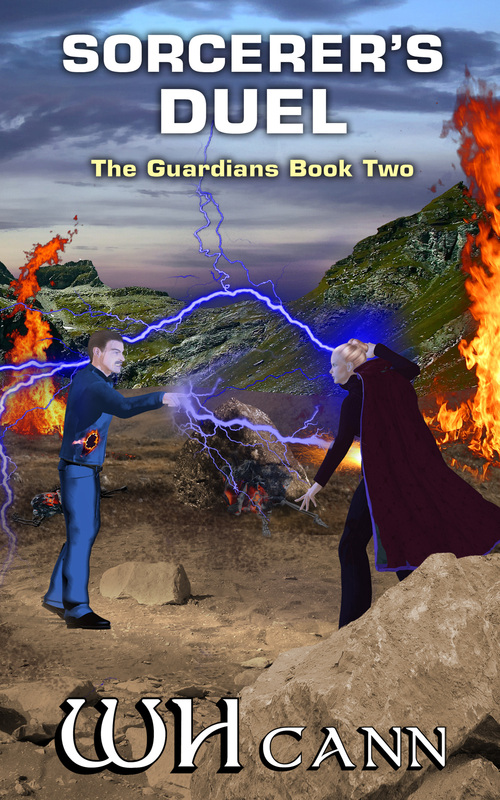 “The Guardians” is a fantasy/science fiction cross genre series, aptly described by Jamie Hall in his review of Path to Vengeance: “Take any fantasy novel and move it forward a few thousand years and this is it.” The series comprises five books, but I hope to add some short stories to the collection in the future. Path to Vengeance: Book One. Fourth edition Revised published 2018. Novel Length: approx 102,000 words, 300 pages. also available at also available at Apple, Baker & Taylor (Blio, a retailer), Gardners, Tolino, Inktera, Indigo, Scribd and others. When his brother, father and fiancée are killed by Krelathan raiders, Grogaan’s life is ripped apart, causing grief, anger and rage. He vows his revenge and sets about on his ‘path to vengeance’ by purchasing four starfighters for him and his friends, which they extensively modify to give them the advantage in battle. As a result of his intense emotional trauma brought on by his losses, he experiences troubling and disturbing dreams, leading to bouts of severe depression. Feeling guilty over the loss of his loved ones, especially his fiancée, Grogaan avoids romantic involvement until Joeen, his brother’s former fiancée re-enters his life, causing him more emotional turmoil. This is further compounded when he meets Ellarna and falls head over heels for her. When their ships are finished, Grogaan and his friends prove their piloting skills and spearhead the counter offensive against the Krelathan raiders, but Grogaan continues to struggle over his dilemma about the two women. 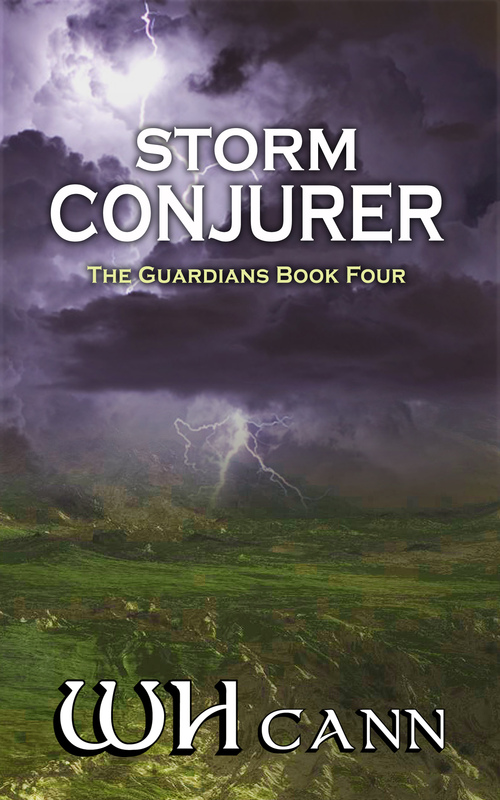 A chance meeting with members of a long forgotten sect, ‘The Brotherhood of the Teragon Eagle’, on a nearby planet, together with information revealed to him by his mother, prove Grogaan’s unique abilities are due to his family heritage; an ancestor having been a well-respected wizard and a member of the Guardian Order. It’s his abilities enhanced by his gift of magic that take him and his friends on a path that impacts on the future of the galaxy as foretold by a two hundred year old prophecy, a path he begins to tread while developing a powerful relationship with one of the two women. also available at Apple, Baker & Taylor (Blio, a retailer), Gardners, Tolino, Inktera, Indigo, Scribd and others. Having survived the Battle of Mabraant and with no system in the quadrant safe to settle on, Grogaan leads his friends on a new adventure deep into the heart of the neighbouring Ladorran Quadrant. During a visit to a neighbouring planet, Grogaan discovers a long forgotten underground installation that contains a sinister secret. It is this discovery, together with Grogaan’s powerful emotions, that sets off a chain reaction that has sinister, dire and tragic consequences. This impacts not only on the lives of Grogaan and many other individuals, but also on their progressing relationships. 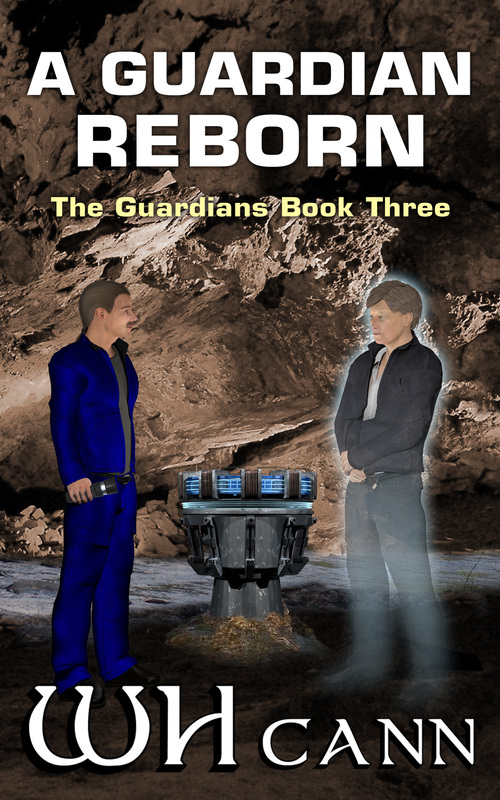 A Guardian Reborn: Book Three. Grogaan survives his duel with Empress Hefrask, but almost loses his life in the process. With his life hanging by a thread, Ellarna hides him the cave where their ships are parked, and protects them by magic to prevent being discovered. While in hiding, Ellarna discovers new gifts in the art of magic, ones greater than are currently known of by Guardian Master Taggash, and revealed to her by some strange creatures indigenous to Cassendra. When Grogaan finally awakes, he breaks some devastating news to his fiancée; he has lost both his memory and his gift in magic. With Grogaan being hunted by Imperial sorcerers, can he recover physically and mentally, and regain his memory and his magical powers before they catch up with him, and before the Hebradon Empire returns to the Ladorran Quadrant to continue their conquest. During his self-imposed time of solitude, he makes a surprising discovery that has a profound effect on his future and that of the Guardians. Novel Length: approx 108,000 words, 326 pages. 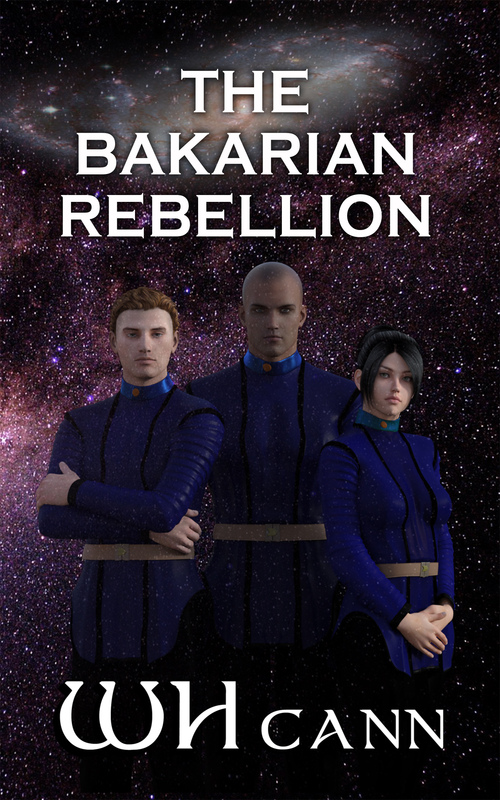 Entering into a treaty with the Olarans, a race who can block the effects of magic, and the Order of Elora, commanded by Imperial sorcerers who were the most loyal servants of Emperor Belack, Empress Hefrask implements the next phase of her plan for the conquest of the Ladorran Quadrant. The second phase involves confronting and removing the primary threat to her plans: Grogaan and the Guardians of the Republic. Grogaan’s enhanced abilities in the art of magic, his inner calm and impeccable self-control, are put the ultimate test when one friend is abducted and another killed when confronted by the sorcerers from the Order of Elora and the Hebradon Empire who have united in the fight against the Guardians of the Republic. 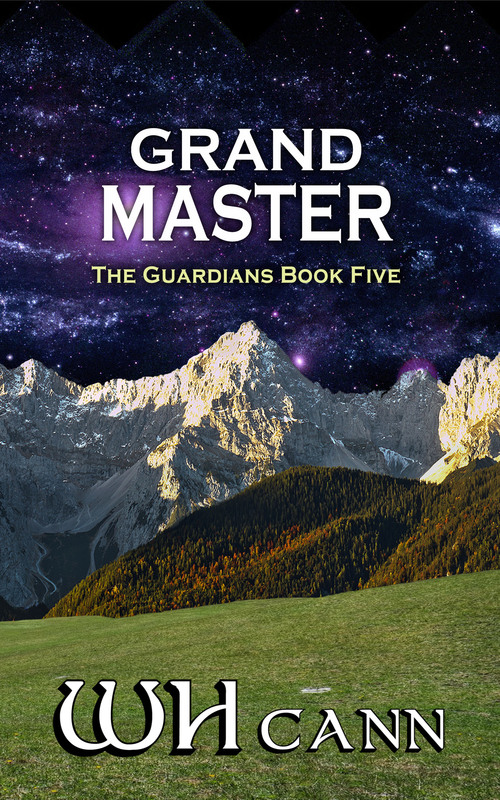 Facing opposition from several Guardians, Grogaan ventures deep into Imperial controlled space in the search for knowledge of the Guardians, their magic, and why they failed to retain their position of trust and power in the galaxy. Novel Length: approx 128,000 words, 365 pages. 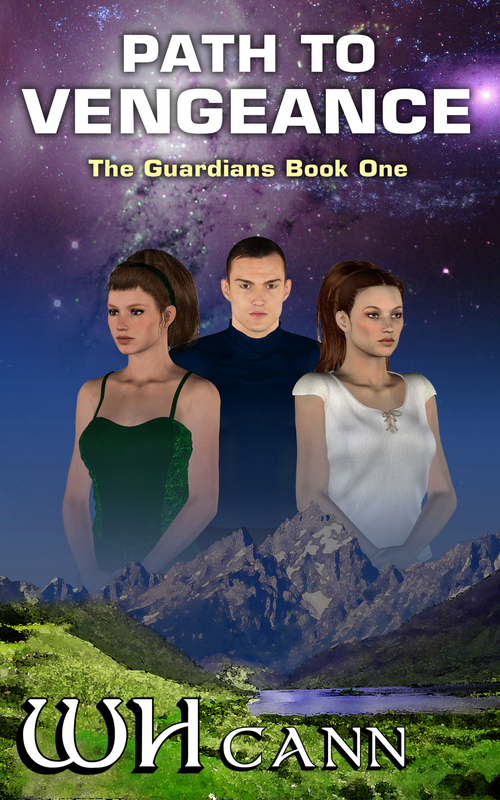 The search for Sorann takes Grogaan and Ellarna on a journey across the galaxy, one not only of great distance, but one of self-discovery, of personal and spiritual enlightenment. The events and trials Grogaan faces during this time, tests his inner calm, his self-control and his adeptness in magic to the limit. Grogaan and Ellarna face a race against time; They must locate and rescue Sorann from the clutches of the Vadashine, discover the meaning and set in motion the events that will ‘heal the blood of times long passed’ and return to the Gaashox quadrant in time to face the coming ‘Swarm’, an event on which the fate of the galaxy rests. Novel Length: approx 153,000 words, 339 pages.